Gavan Hennigan is an Irish Extreme Environment Athlete who hails from Galway. He has worked worldwide as a deep-sea saturation diver for over 10 years, diving to depths of 200 m to perform heavy construction on oil rigs. During his time off, Gavan has adventured to all 7 continents, climbing and snowboard mountaineering in Antarctic, Arctic, Alaska, Ultra Running at home in Ireland and he has completed 2 of the longest and toughest Winter Ultras in the world – the Likeys 6633 566km Ultra inside The Arctic Circle and The Yukon Arctic Ultra 500km where he placed 2nd with the 3rd fastest time recorded since it’s induction in 2003. Through both of these events Gavan has raised over €12,000 for local Galway charities. Gavan has pushed the extremes of what is possible for the human body and mind from working at extreme water depths to climbing high-altitude peaks in the Himalayas. His life hasn’t always been about extreme adventures. As a youth, Gavan suffered badly at the hands of alcohol and drug addiction and went into rehab at 21. He managed to turn his life around and has stayed clean and sober since then. His story is one to be heard. Through his personal adversity, career and expeditions, he has built an incredible mental fortitude which was tested during his last expedition where he crossed frozen Lake Baikal in Siberia on foot. He is one of only a handful of people to have completed the solo 700km traverse over 17 days. 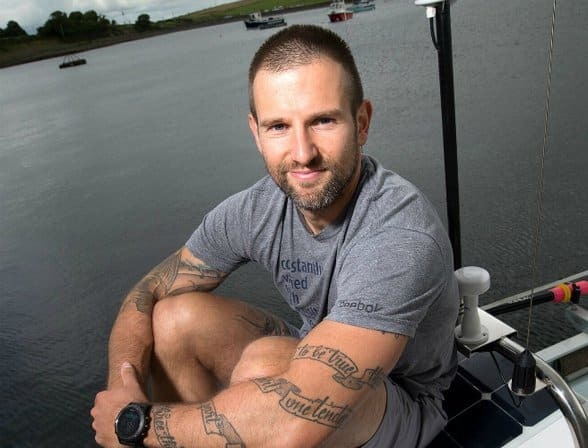 Gavan’s current and biggest adventure to date is a solo row across the Atlantic as part of the Talisker Whiskey Atlantic Challenge. The 5,000 km crossing is made in a specialized Ocean rowing boat. It will take up to 3 months to complete the gruelling task, with Gavan bringing all his supplies needed for the entire journey.